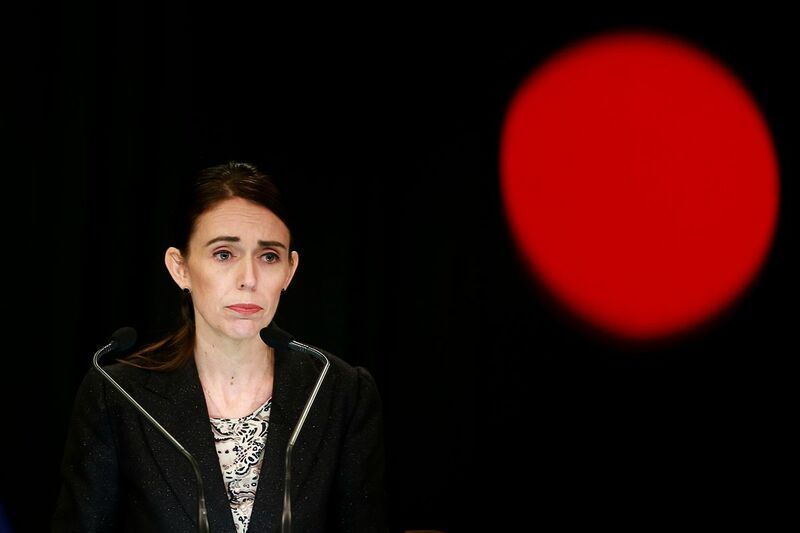 It took one mass shooting for New Zealand to ban assault weapons | "Global Possibilities"
New Zealand Prime Minister Jacinda Ardern announces sweeping changes to the country’s gun laws following mass shootings in the city of Christchurch that killed 50 people. Within 24 hours of the Christchurch, New Zealand, mosque shootings, Prime Minister Jacinda Ardern last Friday vowed that “our gun laws will change.” Less than a week later, on Thursday, Ardern announced sweeping changes to strengthen the country’s gun laws that will be in full effect by mid-April. New Zealand already had much stronger gun laws than the US (as is true for developed nations in general). For one, New Zealand requires a license to buy and own firearms — a standard that only a few states in America have. But New Zealand’s laws still have gaps that have led to some critics describing the country’s laws as “patchy,” particularly when it comes to the registration and regulation of semiautomatic rifles (often known as assault weapons). Among the changes, New Zealand will now ban all military-style semiautomatic and assault rifles, Ardern said. The country will also create a buyback scheme to confiscate the banned weapons, and the prime minister promised steps to ensure there isn’t a rush to buy the prohibited guns before the new law fully takes effect. The plan seems similar to what Australia did in response to a mass shooting in 1996 — changes that have been linked to fewer gun deaths in the subsequent years. Thursday’s announced changes are the “first tranche” of reforms to New Zealand’s gun laws, Ardern explained. More changes are coming, which will address, among other issues, gaps in the nation’s gun registration laws. The result: It took just one mass shooting for New Zealand to move to change its gun laws. In the US, where levels of gun violence are generally much higher, it’s unclear if any changes will ever happen at the federal level — even as the US suffers mass shooting after mass shooting on a nearly daily basis. Before any changes, New Zealand’s gun laws were already far more restrictive than America’s. As the US’s Law Library of Congress explained, New Zealand’s system mainly focuses on licensing, but registration of firearms is not always required. New Zealand has relatively high levels of gun ownership: more than 1.2 million civilian-owned firearms — about one gun for every four people, according to Small Arms Survey, which provides estimates for gun ownership around the world. That puts the country in the top 20 nations in the world for civilian gun ownership, though still far behind the US, which has more than one gun for every person. In New Zealand, people first have to obtain a license to legally purchase, own, and possess a gun. A license applicant is vetted to check for a criminal record, a history of violence, drug and alcohol use, and relationships with potentially dangerous people, among other factors. The applicant also must go through a firearms safety course. That all typically takes months to get through. Once a person makes it through the process, he’s allowed to purchase guns and ammo — although some types of firearms, like handguns and certain semiautomatic rifles, require “endorsements” from police and separate permits to purchase. There are also extra storage and inspection requirements. The licenses have to be renewed every 10 years, and police can revoke a person’s license if that person is believed to no longer be fit for ownership and may pose a threat. Gun sellers are also licensed and regulated by police. Unlike other licensing systems (such as Massachusetts’s), firearms in New Zealand don’t always have to be registered. This can lead to bizarre circumstances in which a gun only has to be slightly modified to no longer require registration. For example, assault weapons only need a slight modification — like being equipped with a lower-capacity magazine — to fall under a less restrictive category that doesn’t require registration, letting some possibly very deadly weapons fall through the cracks. Despite the gap, New Zealand’s gun laws haven’t gone through significant changes since a mass shooting led to reforms in 1992. Amendments passed in 2012 did clarify some of the rules around registered assault weapons, but the changes were largely technical and minor. So the reforms announced by New Zealand’s prime minister will act as the most sweeping changes to the country’s gun laws in decades, closing the loopholes on the registration of assault rifles by banning the guns entirely and confiscating the weapons through a buyback scheme. Future reforms, Ardern said, will also deal with other issues, like gun registration. Even without the changes, New Zealand’s gun laws were already much stricter than the US’s. While New Zealand requires a license, which entails a months-long vetting process, for all gun owners, the US doesn’t necessarily require even a basic background check, because the federal background check law has so many loopholes that there are ways to get around it. America’s weaker gun laws — the weakest in the developed world — are one reason the US has much higher levels of gun violence than other countries. Several studies have found that stricter gun laws are associated with fewer gun deaths, with some of the strongest researchlinking gun licensing schemes similar to New Zealand’s to significant reductions in gun deaths in Connecticut and Missouri. One breakthrough analysis concluded that the US doesn’t have more crime, generally, than other developed countries, but it does have more lethalcrime, like murder — in large part thanks to easy access to firearms. New Zealand, for its part, generally has few gun homicides. According to GunPolicy.org, the entire country had just eight gun homicides in all of 2015 — a rate of 0.18 firearm homicides per 100,000 people. In comparison, the US had nearly 13,000 gun homicides that year — a rate of 4.04 per 100,000. The Christchurch mosque shootings add up to six years’ worth of gun homicides in New Zealand — a testament to how awful the attacks were, but also to how rare such events are in the country. And the country’s leaders are now taking steps to make sure such tragedies remain rare. The swift reaction to a mass shooting in New Zealand seems extremely unlikely in the US, which hasn’t passed any significant changes to federal gun laws since the 1990s. That’s not because stricter gun policies are unpopular. 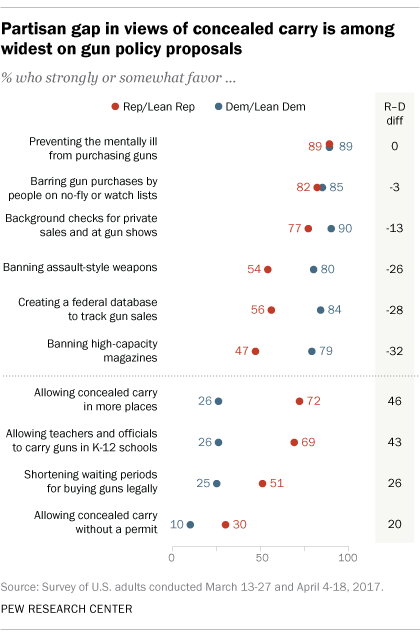 According to Pew Research Center surveys, most people in the US support universal background checks, a federal database to track gun sales, bans on assault-style weapons, and bans on high-capacity magazines. Instead, the problem lies in two related issues: what’s widely known as the intensity gap and the NRA’s powerful presence in US politics. This is further amplified by the NRA, the single most powerful organization in the US’s gun debate. With a direct link to millions of members, the NRA can rally American gun owners to call members of Congress and protest against any proposal to restrict guns. Its messaging tends to focus on the possibility that any restriction enacted by Congress is always one step toward laws that end gun rights altogether — a standard slippery slope argument. That riles up the minority of really passionate gun rights supporters. As a result, conservative media and politicians take the NRA’s support — especially the coveted A-to-F ratings the organization gives out — very seriously. Politicians will go to sometimes absurd length to show their support for gun rights. In 2015, for example, Sen. Ted Cruz (R-TX) starred in a video, from IJ Review, in which he cooked bacon with — this is not a joke — a machine gun. Although some campaigns have popped up over the years to try to counteract the NRA, and although they’ve had some success in recent elections and at the state level, the NRA remains an outsize influence in US gun politics. The NRA has done this, in part, by taking advantage of the US’s unique legal environment. America is one of the few countries in the world that acknowledges a legal right to own guns, through the Second Amendment in the US Constitution. And while there’s scholarly debateabout whether the Second Amendment really does protect an individual right to bear arms, the US Supreme Court has found that it does. And the US has a lot of gun owners — with more guns than people putting it at the top for civilian gun ownership in the world. That creates a large constituency for the NRA and the politicians who support gun rights. New Zealand doesn’t have these kinds of barriers. There is no organization that’s like the NRA in influence and power. There is no constitutional right to own guns. Though levels of gun ownership are within the top 20 in the world, New Zealand still has far fewer guns than the US. There’s also a less tangible difference in culture, reflected by the reaction to the mosque shootings in New Zealand. In the aftermath of the terrorist attacks, several New Zealandersposted on social media that they’re giving up their semiautomatic rifles — with one gun owner remarking that his “convenience doesn’t outweigh the risk of use” of such weapons. That’s not the kind of reaction you’d expect in the US, where gun owners are very quick to defend their rights no matter what. That helps explain why New Zealand’s leaders were so quick to act, with support from the opposition party too. But their ability to move on this issue is also enabled by the country’s very different political system. Even if the US did have a president ready to enact stricter gun laws, there’s a good chance that such measures wouldn’t pass. That’s because of how the US political system is structured, with multiple checks in the system presenting several veto points to just about any legislation. This isn’t hypothetical. After the Sandy Hook Elementary School shooting in 2012 (in which a gunman killed 20 children, six adults, and himself), President Barack Obama and Democrats pushed for Congress to enact stronger gun laws. The measure couldn’t even get through the Senate, because a minority of senators blocked the bill from getting through a filibuster. Consider the basic structure of the US system (as explained by Schoolhouse Rock): For a bill to become a law at the federal level, it has to get through the US House and the Senate, and then the president has to sign off on it. So before a bill becomes a law, it has to get majority approval from the House and Senate. The Senate is especially tricky because it’s inherently an unrepresentative body (with each state getting equal representation, regardless of population). The increasing use of the filibuster has created an even bigger hurdle in which most legislation needs to get 60 out of 100 votes, instead of a simple majority, to make it through the filibuster and pass. And then, of course, the president could veto the bill anyway, which Congress can only overcome with a two-thirds vote. This creates multiple points throughout the process in which a bill can die. The only reliable way to overcome this is for a political party to control a majority of the House, 60 percent of the Senate (unless a majority votes to end the filibuster, which is technically possible, or lets a bill pass without it), and the White House. And the party can’t lose many, if any, votes along the way. That’s not easy in a highly polarized, divided country, especially with sensitive issues like gun control. New Zealand does not face these barriers. In a parliamentary system, voters elect representatives, and then the representatives form a ruling coalition, either with their own political party or with like-minded political parties. This ruling coalition then chooses the prime minister. From that point, the party essentially controls the full agenda until the next election is called. That means that all New Zealand really needs to do to change its gun laws is get the current leadership — particularly, Prime Minister Ardern and her coalition — on board. It’s a much simpler task than getting the support of House Speaker Nancy Pelosi (a Democrat), Senate Majority Leader Mitch McConnell (a Republican) and at least some Democrats in the Senate (to defeat a filibuster), and President Donald Trump (a Republican). Parliaments don’t always have it easy. Political coalitions in parliamentary systems can splinter — just look at what’s happening in the UK with continuing battles over Brexit. But the parliamentary system does make it far easier for the ruling coalition to come together and pass its agenda when it wants. We are now seeing this play out in New Zealand: It suffered a horrible mass shooting, the country’s prime minister within a day vowed to change the gun laws, and, less than a week later, New Zealand’s government is moving to enact those reforms. The Disturbing Trend Behind America’s Soaring Gun Deaths More Americans were killed by guns in 2017 than ever before.